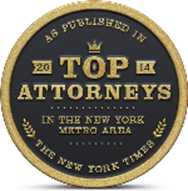 Donna A. Napolitano - Berkman, Henoch, Peterson, Peddy & Fenchel, P.C. In April 2011, Ms. Napolitano joined Berkman Henoch as an Associate in the Litigation Department. In January 2016, Ms. Napolitano was made a partner in the firm. She represents the firm’s corporate and municipal clients in both federal and state court on such claims as Section 1983, Title VII, Fair Labor Standards Act, and ADA. In September 2012, Ms. Napolitano was lead counsel on an eleven-week federal trial and successfully represented the County of Nassau and its employees in Matthew Prince v. County of Nassau et al. She also successfully represented the County in the Second Circuit appeal brought by the same Plaintiff. Ms. Napolitano currently serves as the Attorney to the Incorporated Village of Muttontown’s Board of Zoning Appeals. Prior to joining Berkman Henoch, Ms. Napolitano served in the Nassau County Attorney’s Office for eight (8) years. In 2003, she joined the NCAO as a Deputy County Attorney in the General Litigation Bureau and was responsible for complex federal litigation including Section 1983, Title VII and ADA matters. During her tenure with the office, she was promoted first to Deputy Bureau Chief and then to Bureau Chief of the General Litigation Bureau. She oversaw a bureau with ten attorneys and two support staff. Prior to attending law school, Ms. Napolitano had a successful career on Wall Street where she was a Vice President at a major investment banking firm responsible for originating new health care business which involved the new construction and/or renovation of existing facilities. These projects were guaranteed through the FHA mortgage insurance program and financed with the issuance of tax-exempt revenue bonds. Ms. Napolitano is admitted in New York State, the United States Court of Appeals for the Second Circuit, and the Eastern and Southern Districts of New York. She is a member of the Federal Bar Council, Federal Bar Council/Central Islip Committee, Nassau County Bar Association, and Catholic Lawyer’s Association. She was nominated and selected as a Super Lawyer in 2013, 2014, and 2015. 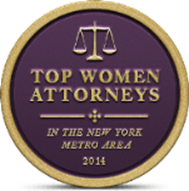 In May 2014, she was honored as a Top Women Attorney in the New York Metro Area in Civil Litigation Defense. In addition, in 2016 she was honored to be selected as one of the Outstanding Woman in the Law. Ms. Napolitano received her BBA in Finance from Hofstra University and her J.D. from Touro Law, where she was a member of Touro’s Law Review. She is married with four children.